For an unstructured site with poor performance, what are the best ways to turn it to a top ranking site within 3 month? In 2012 SMX West, the panelists shared the “SEO Makeover” cases and their winning strategies which could also be applied for revamping process. Target Market: Who is coming to the site? Style: What do you want your new visitors to feel when they visit the site? And then, we can proceed with on site & off site makeovers. Website Design and Structure: The new design should have its own style with social elements incorporated. Also, the site should be structured with search engine friendly content management system for future updates. New Content: Writing new, unique content based on fresh keyword research is necessary. Unique content provides great value to the readers. For example, an animal shelter site could provide local maps for local vet, rescue adoption resources, and fun widgets for cute puppy pictures. Site Structure: In addition, have programmers to fix 404 error pages and broken links, clean up codes, and set up analytics & webmaster for future site tracking. Create new links from relevant market blog posts or forum posts. Citation Conversion: Reach out to quality sites aggressively to ask for backlink. Competitive Analysis: Utilize SEO tools such as site explorer to find back links from your competitors. If the budget is limited, then you can still focus on what you have on the site to fully optimize it. Even without new design, marketers can still drive traffic by fixing existing errors, optimizing content, and increasing quality links. 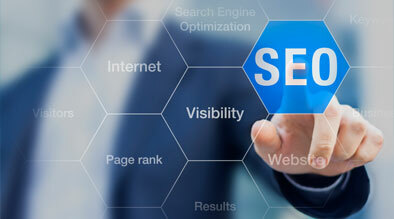 In the 2012 SMX West, Russ Jones from Virante also shared some useful free SEO tools for evaluating website.